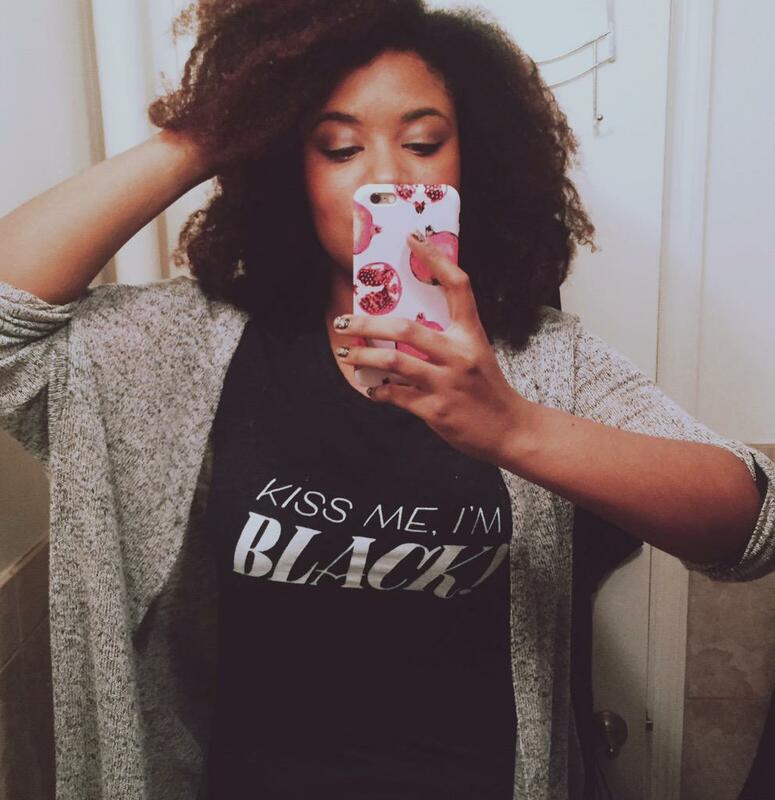 Once upon a time, I made a shirt with puffy paints and pom poms that said, "Kiss Me I'm Black." I almost got kicked out of school for it. That's MESSED UP. So I wanted anyone who wanted to be able to buy a nicer version of the shirt (Designed by the incredibly talented hand-lettering artist, Jen Mussari). They're dope. Thanks for all your support! We've got 2 weeks, I think we can do it! !